You can save big with these Samsung deals, but only for a limited time! These deals are part of flash sales lasting a week or less, so it’s easy to miss them. They all end on either Friday or Saturday, so move quickly if you see something you like. Samsung hasn’t started offering huge discounts on its stellar flagship smartphone just yet. We love the Galaxy Note 9 though, so we’ll take whatever we can get. There are a couple of promotions you can take advantage of right now. The IconX earbuds are worth $150 themselves. The other way you can reduce the hefty retail price of the Note 9 is via trade-in. If you have an eligible device in reasonable condition then you can get up to $300 off the cost of the Note 9. There’s even a bit of credit available if the screen of your old device is cracked. 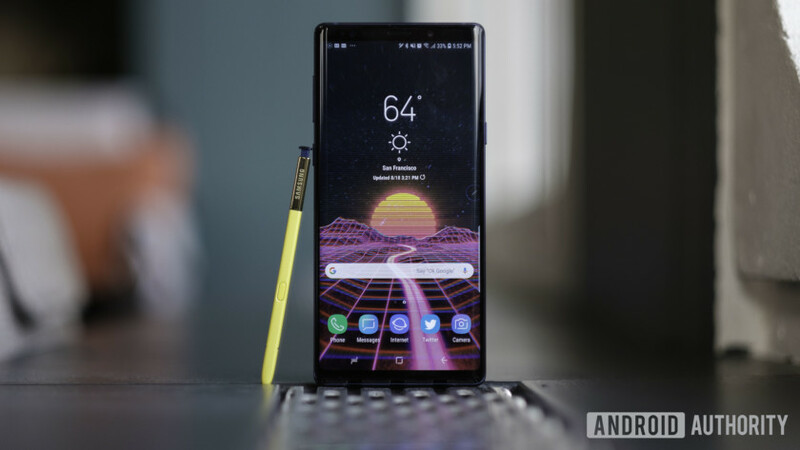 Save up to $300 on the retail price of the Samsung Galaxy Note 9. You can find the full list of devices that you can trade in if you go a few steps into the purchase process. The oldest phone you can get the full $300 credit from is the Galaxy S8, and you can even get $50 off if you trade in a Galaxy S5. That said, you may want to hold on to that epic handset for sentimental reasons. These Samsung deals are only available for a limited time, with the extras offer due to end on Friday. The Note 9 comes unlocked, and there’s also free shipping included. If you want to take advantage of these deals just hit the button below. Get a Samsung Galaxy Note 9 Now! Now, it’s big savings time. If your device has expandable memory then you might as well take full advantage of that fact, and the 128GB MicroSDXC Evo Plus Memory Card from Samsung is one way to do just that. Not all MicroSD cards are born equal, but the Evo Plus ticks all the boxes and comes highly rated. It boasts up to 100MB/s read speed, 90MB/s write speed, and Class 10 and U3 compatibility. It offers excellent performance for 4K UHD video and broad compatibility across multiple applications. A full-size SD adapter is also included. This memory card retails for $100, but until Saturday you can pick one up for only $37.99, free shipping included. The button below leads to the deal. The biggest Samsung deals can be found on the big-ticket items. 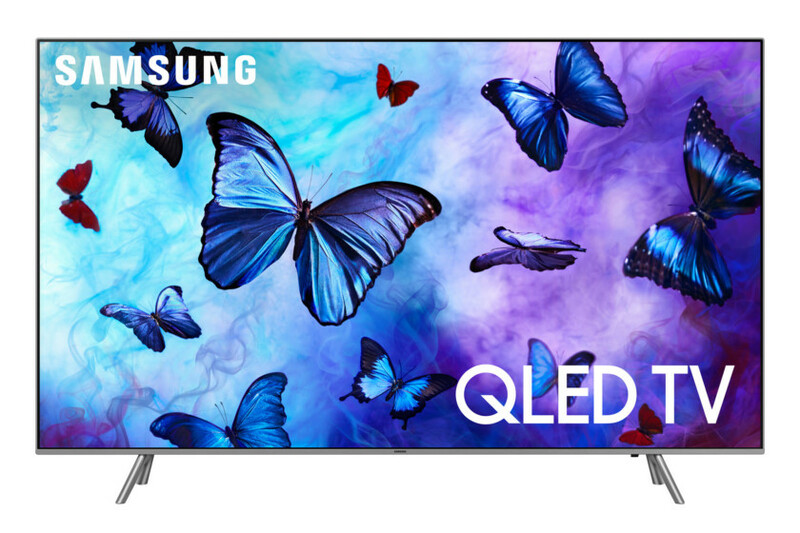 If you’re in the market for a premier new smart TV, then they don’t come much more glorious than the 65-inch Class Q6FN QLED Smart 4K UHD TV. This extraordinary television boasts over a billion colors and spectacular resolution. The list of exceptional features — too long to list here — makes it hard to imagine a more engrossing viewing experience, not to mention how it would enhance any gaming session. Control it with a remote, your phone, Bixby, or whatever. It’s more of a lifestyle choice than a TV. Pay installments of $47.23 per month without it costing you more. While the usual retail price is $2,200, there’s a huge $500 discount this week. Right now you can make the televisual dream come true for $1,699.99. If you don’t have that much money to part with right now. No problem. You can pay for it over three years without is costing you any more. It works out to only $47.23 per month. This deal also ends on Saturday, so to check out the huge range of ways this smart TV will improve your life, hit the button below.